Home > romantic moment > Romantic Moments 2--It's Reveal Day! I just love Fridays! It's time to reveal our authors and books. If you missed the excerpts, you can read them here. 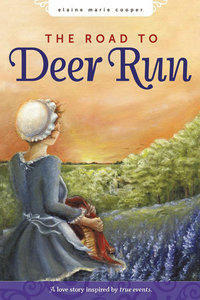 The war had already broken the heart of Mary Thomsen, a young colonial woman from Massachusetts. It had also broken the spirit of British soldier Daniel Lowe, a wounded prisoner of war in a strange land. They were enemies, brought together by need. Would their differences overshadow the yearnings of their hearts? Or would the bitterness of war keep them apart? Come back tomorrow for our interview with Elaine! Well, what do you think? I love meeting handsome men when I look like a drowned rat. Wednesday we'll get to sit down with Lorna! Remember to come by and interact with both our authors next week. Your meaningful comments count as additonal entries into the book giveaway. If you voted but forgot to enter your name via the Drawing Box, there's still time! Also, let us know if you follow us through blogger, networkedblogs, or twitter, or if you have "liked" our facebook page. All of these put you in the drawing yet again. Welcome, ladies! I'm just loving these romantic Clashes. Thanks for being a part! Thank you, April. It's a thrill to be here at COTT! Can't wait for your interview days. 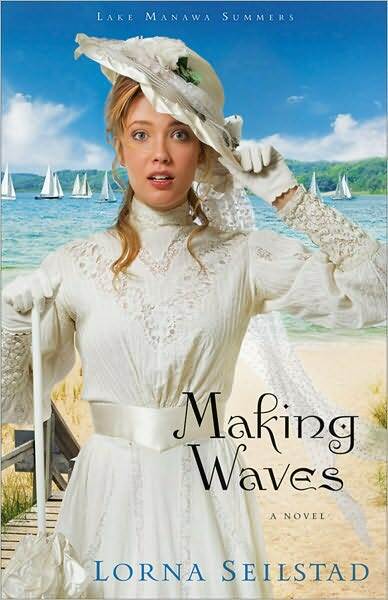 Hi Michelle, it was so exciting to hear from you when you contacted me to say a reader had nominated the scene from Making Waves. I'm looking forward to talking with everyone next Wednesday. Elaine, nice to meet you, too! I've already read Elaine's wonderful book, and Lorna, your book caught my attention at the Christian bookstore just the other night. Haven't bought it yet, but I definitely will, especially after reading your excerpt. Love the historical covers, and I'll definitely have to read it. Sounds like my kind of book with fun, spunky characters! Thanks to you, Michelle, and all of the absolutely wonderful people behind COTT who introduce us to established and new authors to watch! Lorna, I'm so glad I got to share that honor with you! JoAnne, it's our pleasure to play matchmaker! Yes, Elaine, I do live in Iowa and the Lake Manawa Summers Series is set at Lake Manawa near Council Bluffs, Iowa. It's about six miles from our home.